I thought it'd be fun to start a new kind-of feature on here called Full Disclosure. I purposefully don't share a lot about my life outside of what I wear, but often-times I get questions on everything from what I like to do outside of work and blogging, to where I shop (uh, that one is probably pretty obvious), to my home, my secret habits, anything-everything. It'd be a very short but difficult to read book if I spewed everything out and you'd get confused/lose interest within the span of minutes (insane in the membrane here), but I thought it'd be fun to share little tidbits now and again. This is the main closet in the bedroom. I split this with the BF as he has about just as many clothes as I do in tee, polo and khaki pant form. The lighting in the closet is pretty heinous, but I can see, which I guess is the point. This is where I keep my pants, skirts, blouses, folded sweaters, jeans, jewelry, purses and stuffed things. Here lives my underthings, my workout (haha) clothes and my tees. My life is full of stripes. Don't yawn yet, there's more! This is in the spare bedroom / home office. I didn't want to split my closet up and actually wanted to just take this whole closet because it spanned one entire wall, but the BF didn't want to kick me out of the main closet (nor did he want to give it up). So my wardrobe is split and I'm only using half of this closet - eh, walking that extra twenty feet each morning is just exercise, right? My dresses, jackets and shoes live here. I don't really have a system for my shoes yet, partly because I don't want to give up my shoe boxes (yes, for moving, I like to repack my shoes into their boxes) and don't want a pile of empty boxes somewhere and a pile of shoes somewhere else. Dependent on the day, I think I don't have enough shoes or way to many shoes for my own good. Guess what day I usually think it is? And that is that - my first full disclosure. I've never done the whole summer / winter wardrobe split thing, so what you see is what you get - though my closet has a fantastic ability to just absorb new clothes in, so I have no idea how things just keep fitting. I wish it were glammer, larger, more modern and organized like how I live my life in my head, but it is what it is for now. 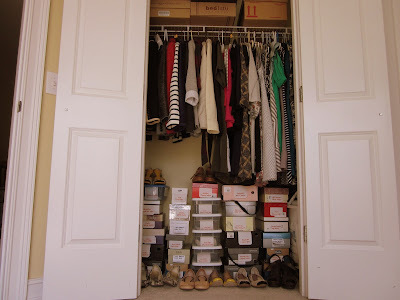 What do you ladies think about your own closets? What would you change if you could? Also, if you have anything you want to see in a future Full Disclosure post, let me know, I may or may not oblige, haha! REMINDER: Send me your outfit pics for the next Respect the Outfits reader feature - this time we're going to show off you in your favorite feel-good outfits! More details HERE. Send your pics by Tuesday night to respecttheshoes(at)live.com. REMINDER-INDER: Don't forget about my Shopbop giveaway - enter HERE for your chance to win $100 gift card to Shopbop! Contest ends March 20! Ooo, thanks for letting us peek into your closet. It's total eye candy. And I love spying the different Anthro pieces in your closet. I like the look into your closet! It still is an amazing closet, if only because of the awesome things you've filled it with! I love your shoe collection, and your jewelry collection, oh my! You are so nice to share your closet with your bf, I can't share so hubs is in the guest room closet and I took the master. I like the tray that you use to hold your jewels, I might have to steal that idea. I love your mysterious photos - too cute, that coat is TDF! It's so fun to peek into your closet and see all your goodies :) I feel the same way about shoes, I have a gazillion pairs, but not the *right* pair several mornings a week, sigh. I love the size of my closet, but it definitely needs an organizer in it/more shelves. I might have to make dh tap his handy side and do something in there over the Summer. 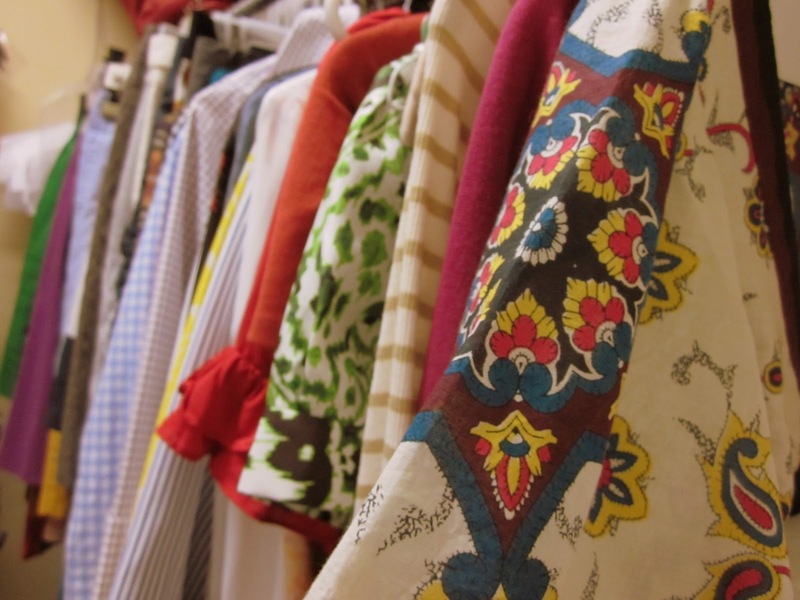 What a fun peak into your closet! I love all your shoe boxes!! 3. LOVE YOUR CLOSET!! thanks for letting us have a peek i love closet pics! 4. i need a room devoted to my mess of a closet/shoes/handbags because my current system is a total mess and i forget about 90% of my clothes/shoes/handbags mostly because i CAN'T SEE THEM! Love your closet. OCD that I am, the organization just draws me right in. :) And a woman can never have too many shoes. Let me also be like the 100th person to say "LOVE that coat!!" 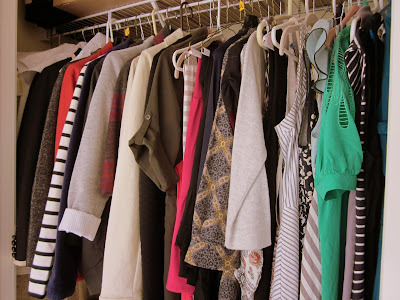 I love this post as I just recently started organizing my closet- it still needs a lot of work! Lisa, I AM IN LOVE WITH YOUR COAT. I've been on a tweed spree lately, and would love to invest in a nice coat like yours. I am so jealous of your multiple closet space! Not only that, my OCD side LOVES the way you organized everything. Need to make a mental note to self to take notes! I spy lots of pretty things in those closets of yours!!! Love the peek...so fun to see how other people organize their things. I LOVE LOVE LOVE that coat...it is an amazing piece and you look fantastic in it! The color is so pretty against your skin tone and dark hair! Your coat looks really cute. It reminds me of the one Natalie Portman wore in Black Swan. I miss coats. It's 90 degrees where I live. PS. If you have a Lush in your area, definitely give it a try! I'm NOSEY so I love this kind of post! :) Thanks for sharing with us. I love having everything out, regardless of season. I also love have a space for everything in my closet so that I am not walking from closet to closet trying to find what I want to wear. My "new" closet isn't nearly big enough, but I'm working with what I have as well. wow everything is so neat and organized! My closet is um LAME. When we moved here the dude had custom closets put in and they are just kind of a nightmare- very cut up and man-ish. I used a bookshelf for my sweaters and baskets for exercise clothes and a double rolling rack for shirts. I also have clothes in storage. It looks like I have a ton of clothes because I have one really tiny closet. I would like a full disclosure about the area you live in- show us the town! Thanks for sharing. Your closet is pretty neat.... half of my cloth are in the laundry basket... Somehow I have a resistance for putting them away. Thanks for the peek into your closet. 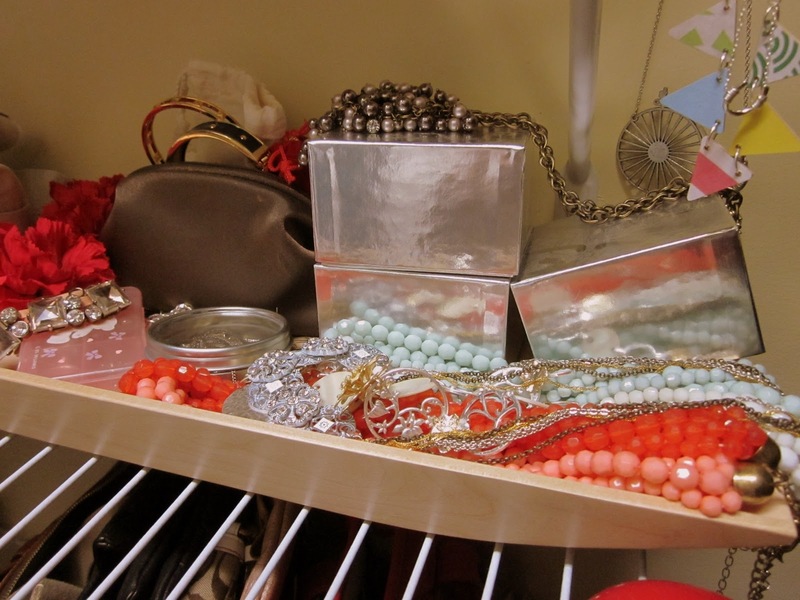 I don't know why, but I'm always intrigued by how people organize and what's in their closets! Awesome post!! You crack me up!! I have wondered how other people organize their wardrobe. I have a tough time with it. Thanks for sharing!! This was so much fun to have a looksie in your closet. I am a snoopy gal :) I know we all wished we had Carrie Bradshaw's closet. I wish I had a walk in closet w. a huge display for my shoes. 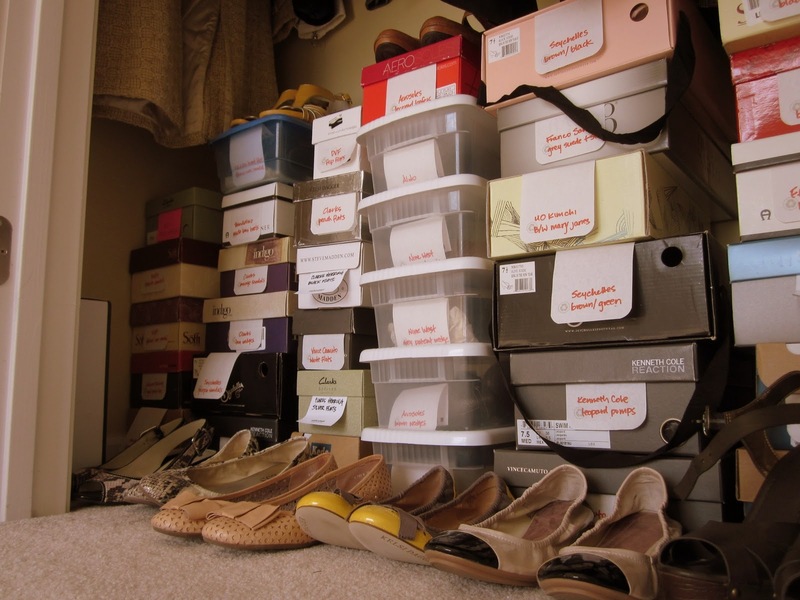 My shoe boxes are piled everywhere - in my closet, under the bed, in the laundry room. Gak!I guess I need a bigger house. Lisa, this is greeeaaaat! Thanks for sharing your wardrobe with us. Your shoe collection is amazing!! And is that a winnie-the-pooh stuffed toy i spy? I'm obsessed with the tubby lil cubby. My wardrobe is basically a couple of portable racks in the spare room. My hubby has a bigger wardrobe than i do, so he's taken all the closet space! 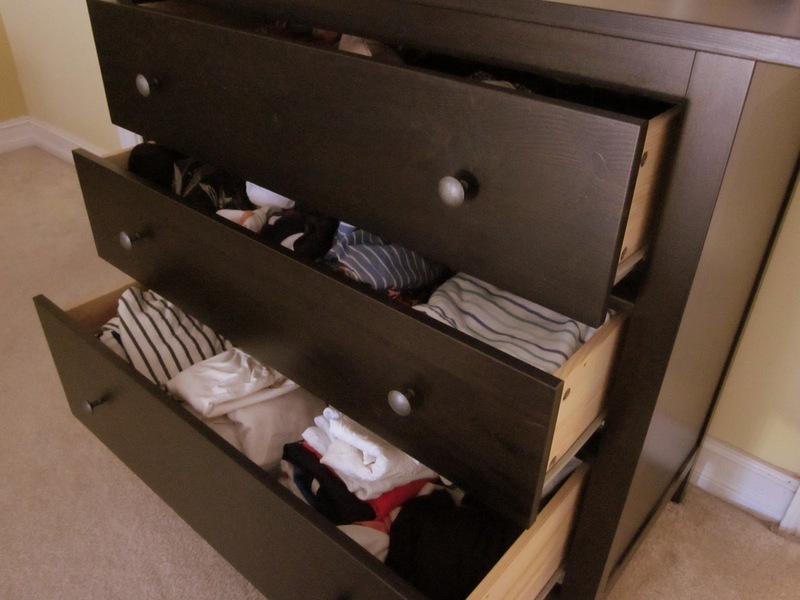 I too split the bedroom closet with the hubs and use the extra bedroom (which is a manly office cave) closet for the rest. I have to split my clothing up seasonally though. Ridiculously gluttonous I know. Thanks for sharing...I love these kind of posts! Where did you get that gorgeous coat???? Jealous of how organized you are! I probably do have enough closet space with an extra room but I'm a messy person so things are all over the place! ugh, coat want. you look adorable in those first two pics! Wow, you are so organized compared to me. I don't have enough space, and everything is a jumbled mess. Often I know I have something but just can't find it. And you have so many extra hangers - I'm jealous! LOVE the coat:) Thanks for sharing a glimpse into your closet. My closet is super small, so if I could change it, I would make it much bigger! I also have that cream/purple colored top. I forgot the name though, something like Kosrow, Costco, or something lol. I haven't worn it yet though. What have you worn it with? I'd love to see it as one of your outfits. So, I LOVE this feature. I also...love that coat. I love tweed, nerd that I am. And that color on you is perfect. I can't believe all of your shoes. I have "bad feet" so limit my shoe purchases unless I'm SURE. But recently, I've found some brands (like anthro's schuler and son's) that are sure things, so...ahem. 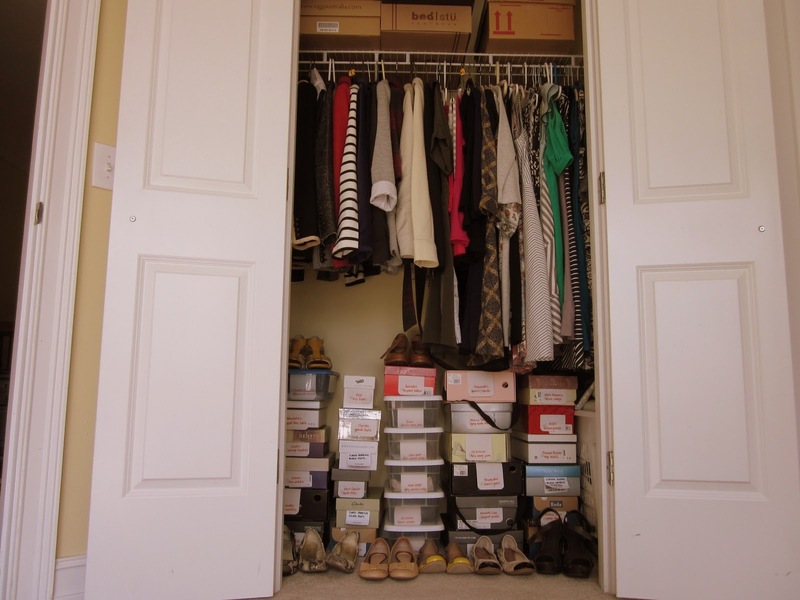 LOVE the peek into your closet, and how you have it set up. I think that is the Banana Republic Honeycomb Coat from a few years ago...? It looks like the one I have. I wasn't buying the first closet. ;-) When you got to the black drawer & the 2nd closet, I said a-ha. I finally let go of shoe boxes and slowly bought clear plastic boxes. First I did research to see if the plastic is ok to store the shoes in. Breathability. I was satisfied enough w/what I read and the shoes look great so far. Also, almost all the shoes fit in the boxes and they're so uniform. Jan Russell - oh lady, I aspire to have your closet! it doesn't get near cold enough in SE! Cee - yes, I think my OCD has kept me relatively neat because otherwise I would literaly lose sleep at night thinking about my unfolders tees or undone laundry, ack! spiffy - I live a block away from a Super Walmart, that should give you a clue, haha! Lisa - I wish I had the room/money to be able to turn an extra bedroom into some fantasyland walk-in closet! vintageglammz - I'm fairly certain that if we did a piece by piece count, my BF would have more clothes than me, he never gets rid of anything! Liz - I think it is the Khosrow blouse - I've only worn it once (I'm bad!) before with rolled up skinny jeans and big wedge sandals. I think I need some olive green bottoms because I think the top would look great with some olive shorts or cargos. LC / Chrissy / chantilly - the coat is by Banana Republic, so it probably is the honeycomb tweed coat from a few years ago - my big sis gave it to me from her closet last year. I've been meaning to get the sleeves shortened but honestly I don't really wear it because the winters in the SE never get that cold! gigiofca - Aw heck no, if I only had one closet, it would be mayhem and this would be more like a hoarder's cry for help than a full disclosure! I need to do the clear plastic boxes thing for my shoes, but the ones I do have are still kind of hard to see through, so I ended up just labeling everything. I LOVE your coat! I didn't know that Banana Republic made coats like those... I usually see boring hoh-hum kinds there. 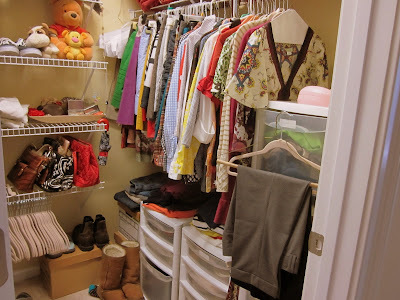 So jealous of your closet space!!!! I really need to organize my stuff. I loved the reveal shot with your coat. So fun! and I love that you keep your shoes in boxes. I do too, however I ventured over to clear boxes from the Container Store for more visibility a few years ago. I won't say it changed my life, but it makes it look more uniform. I just need more room in my clsoet. period. Thanks for the peeksie inside!